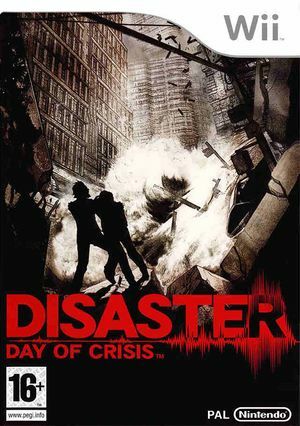 Disaster: Day of Crisis is a video game developed by Monolith Soft and published by Nintendo. It is an action-adventure survival game, where the player must survive through various natural disasters, all the while also battling terrorists and rescuing civilians. According to Nintendo, the game features "cutting-edge physics and gripping visuals" to re-create the sheer terror of major catastrophes. Freezing and black screens will occur /w Dual Core mode, disable it to avoid this. Refer issue 9064/issue 7143. If using a real Wii Remote, disable "Reconnect Wii Remote on State Loading" and the settings to use the Wii Remote Speaker. In the game's Options > System, Radio and Weapon Sounds should be set to "TV" and not "Wii Remote". Otherwise, the Wii Remote will apparently lose the signal and its controls will malfunction. Presumed fixed /w Bluetooth connectivity revisions. The graph below charts the compatibility with Disaster: Day of Crisis since Dolphin's 2.0 release, listing revisions only where a compatibility change occurred. This page was last edited on 14 January 2018, at 11:24.